When our friendly neighbourhood webslinger re-entered our lives in Cap’s last outing, goosebumps were felt across the world. Overall, he probably is the most popular superhero, but sadly not all of his cinematic trips have been a success. Garfield was sufficiently cheeky but too cool and Maguire was perfectly geeky but not funny enough. Spider-Man 2 has yet to be beat, even after Homecoming, which takes our hero in an admirable direction. Peter Parker (Tom Holland) is struggling to maintain a school/Spider-Man balance. With the constant supervision of Tony Stark (Robert Downey Jr), he spends time tackling small crimes and spending time with his best friend Ned (Jacob Batalon). 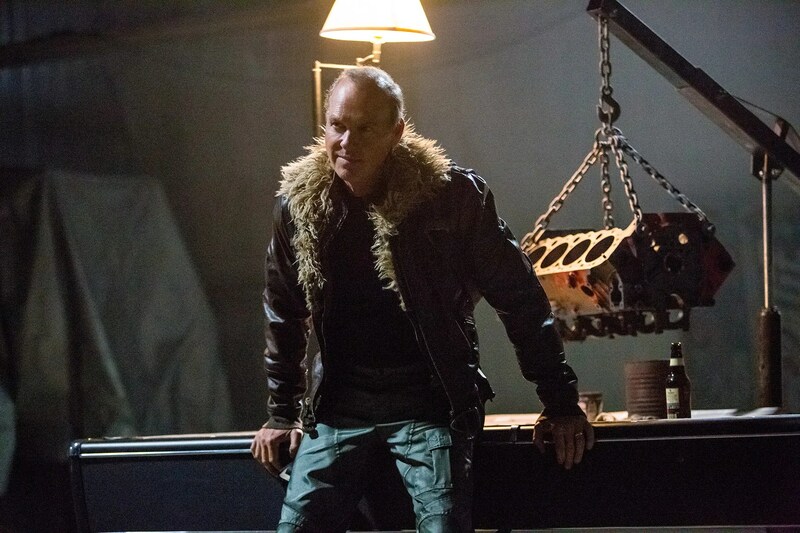 But when he picks up on a sketchy group of arms dealers lead by the villainous Vulture (Michael Keaton), he can’t ignore it. Whilst we still have – a much younger – Aunt May (Marisa Tomei), there’s no Uncle Ben in sight. No gun shot, no crying Peter in the street; we all know that part of the story by now. The story follows straight on from Civil War, but be aware that this is much more a coming-of-age tale than your usual Marvel affair. We spend plenty of time in school with Holland and Batalon, navigating the highs and lows of being a teenager. Not all of the script is sharp, sometimes cringe-inducing (how many times can the word “awesome” be used seriously). But it’s incredibly refreshing, keeping Spidey at his most relatable. 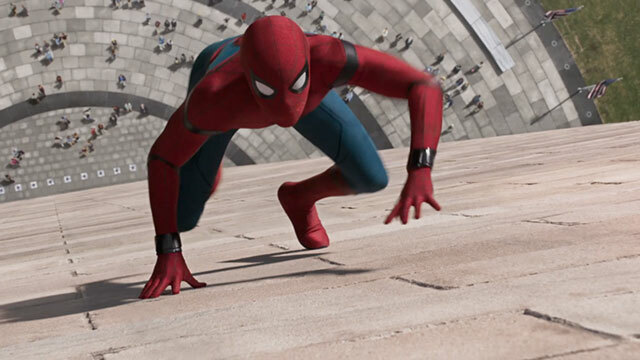 Jon Watts still fits in some scenes of our hero getting to grips with his powers (more accurately, his new gizmo-stuffed suit), played out with a bigger comedic focus than previous efforts. Holland makes for perhaps the greatest Peter Parker yet, striking a balance between the seamless banter and nerdyness that makes him so loveable. Despite not being an official origin story though, you could argue this is us seeing Peter becoming the full-on superhero which we’ll see in Infinity War. With the exception of a couple, MCU villains are a tad underwhelming. However Keaton is a formidable foe, complex and compelling. We can understand his motives, making the stakes seem less insurmountable. The stakes are in fact lower this time, instead of our usual endangered earth plot. The dynamic between him and Holland is nerve-shredding also, making him the finest villain since David Tennant’s despicable Kilgrave in Jessica Jones. The action sequences are mostly fantastic, albeit sometimes they can be a bit too hectic and hard to follow. A cloud-covered scene on top of a plane is burdened by Watt’s directorial style, although you’ll still be giddy. There are several little nods to earlier films, for example the plane sequence brings back memories of Spider-Man 2’s outstanding train fight. Importantly though, this feels spectacularly new, and despite some god-awful marketing (the trailers pretty much give away the entirety of the film), there’s a lot to love here. Particularly his nostalgic, hype-building theme. This is without a doubt an amazing return for our legendary web-head, leaving great scope for an even greater future. Welcome home, Spidey. Let us know your thoughts in the comments below, on Facebook or tweet us!